Card Review: 8.1 I like any card with the red warm-up jersey. This card fits that bill. 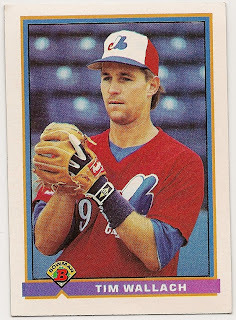 As a stand alone set, I don't care for the stats on the back of this card. But given that there were no shortage of sets in 1991, I don't mind. In fact I can remember spending hours analyzing the back of it as a kid. 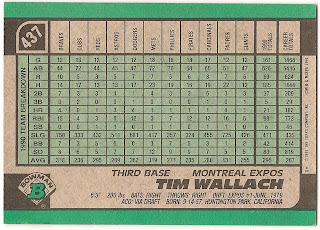 Whenever the Expos happened to be on ESPN, or play the Braves, Mets, or Cubs (teams whose games were on my cable package), I would dig out the previous years Bowman to see what Wallach had done against the team. 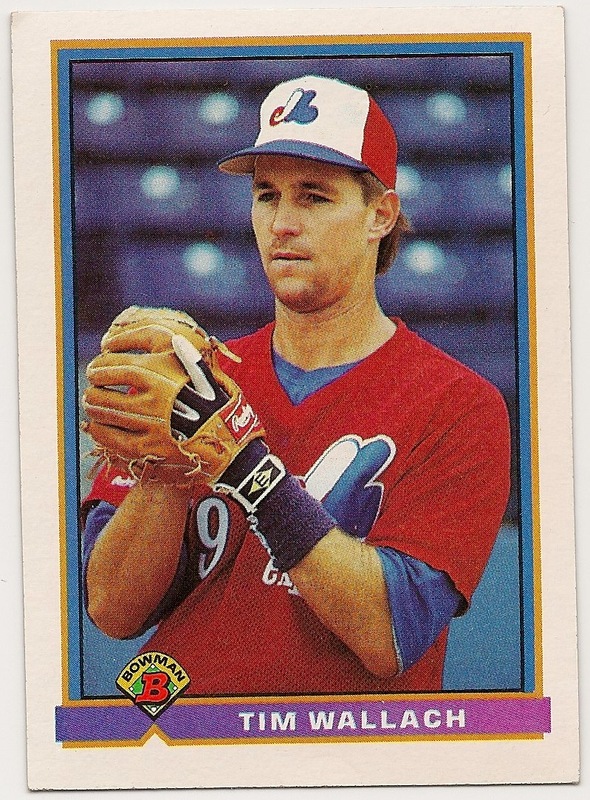 Fun Facts: *Mark Gardner threw 9 innings of no-hit baseball for the Expos on July 26, 1991. A tenth inning single broke up the no-no. * Two days later Dennis Martinez threw a perfect game for the Expos. 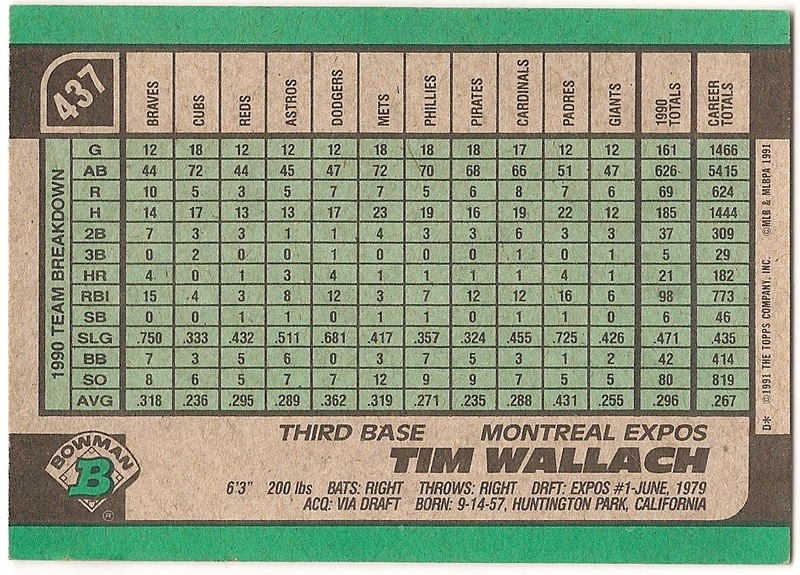 * Tim had 98 RBI's in 1991.